When you enable data logging, you permit Google to collect data from your audio transcription requests. Google then uses this data to improve its machine learning models used for recognizing speech audio. Note: Before enabling data logging you need to certify that you have the proper permissions from the data originator(s), and that you haven't entered into a BAA with Google, for HIPAA purposes as an example. See the complete terms for opt-in for data logging for details. As a benefit when you enroll in data logging, you can receive discount pricing. 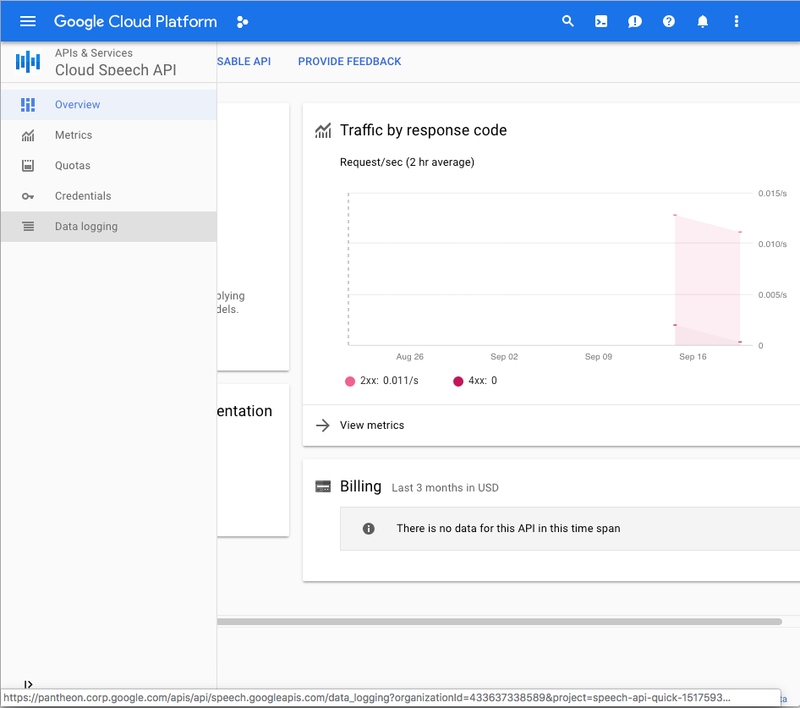 Go to your project settings for the Cloud Speech-to-Text in the Google Cloud Platform Dashboard. From the list of APIs enabled for the project, select Cloud Speech API. Select the Data logging tab. You can disable data logging for your project at any time. 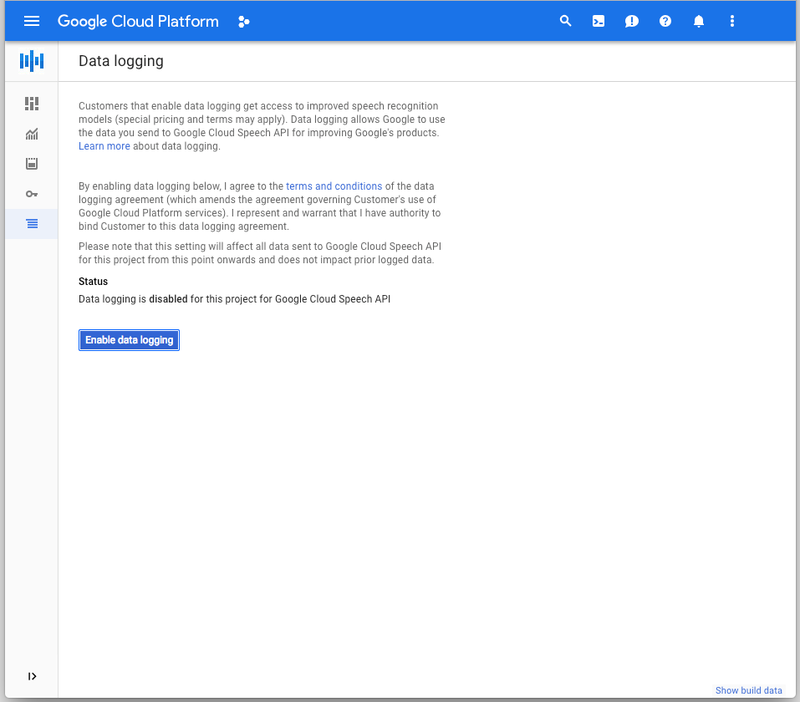 Review the terms for opt-in to read about what happens to your data when you disable data logging for a project. Review the terms of opting in for data logging.